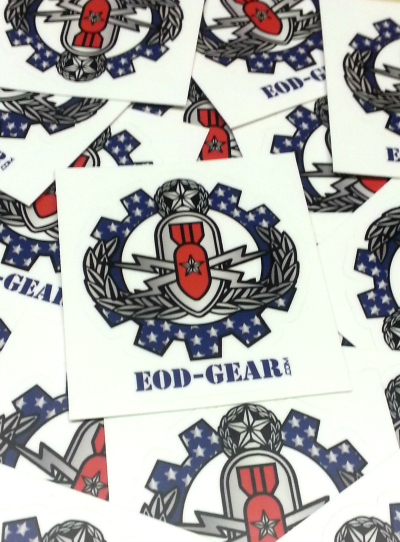 These EOD Stickers are great for placing anywhere. 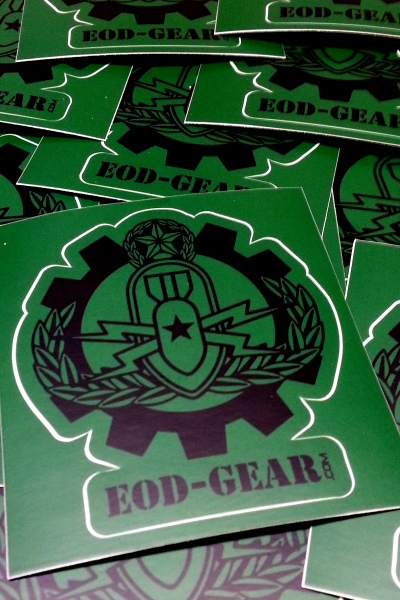 There's no "I" in EOD! OLD Glory - Hoo-Yah 'Merica! If you're EOD, this is an easy way to get a Crabs...for your car's back windshield, for your hard cases and any where else you want to put a Crab. Christmas is coming so be sure to give Crabs to the one you love! 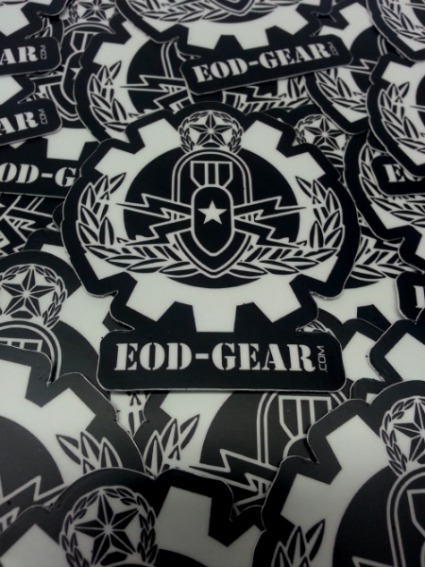 Yes, it's some shameless self promotion on my part but I bet you could pull out any multi-tool or knife (available here) and take the "EOD-GEAR.com" off of it. Get Crabs, Give Crabs and let eveyone know you have Crabs! And there's even FREE Shipping! I love the color and design of the stickers and I am very pleased about how quickly they were shipped and when they arrived! My order came fast and undamaged very great service!!! these stickers, they understand what we are talking about, and applied to the helmet or on working equipment, and increase in value. 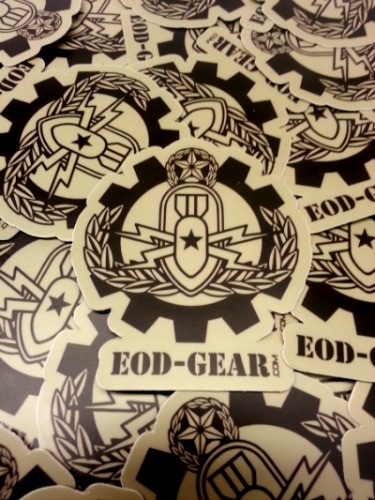 I hope that I can work with EOD-GEAR.COM in the future.